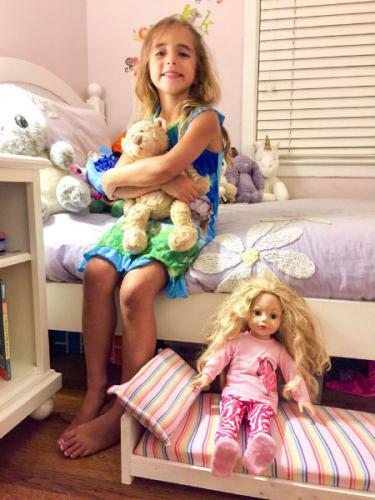 The American Girl Doll phenomenon is not going anywhere anytime soon, and if you have a kid who is hooked on the trend, then you either need a bottomless wallet or to start getting handy with some plywood and a jigsaw. Thankfully, with a few basic wood-working tools, a steady supply of plywood, and some crafty sewing skills, you can outfit your surrogate granddaughter with everything her miniature home requires. If you’ve never built anything with wood before, you’ll want to begin with something small and easy to get a feel for the process. This simple bed is an easy project to start with and is probably on the top of your little one’s furniture wish list. 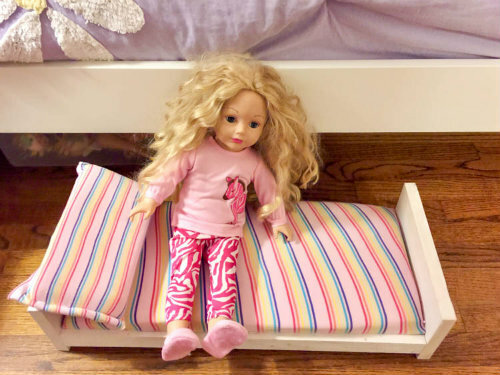 First, measure the doll’s length and width, then add about four inches to get the length of the bed and two inches to get the width. Cut two side rails from the 1x1 to the correct length using a miter saw, then carefully cut five cross rails to the correct width. Take your wide piece of wood and cut two equal-sized rectangles from it. Make them the same width as the cross rails and as tall as you want your headboards to be. Using a jigsaw, sculpt a curve into the bottom of each rectangle to create the legs of your headboard and footboard. Attach all the pieces using a Kreg jig to make your holes then a drill to fasten everything together with the 1¼-inch screws. Paint the bed frame with a white wood stain. To start making the mattress, cut your plywood to the size of the bed frame using a miter saw. 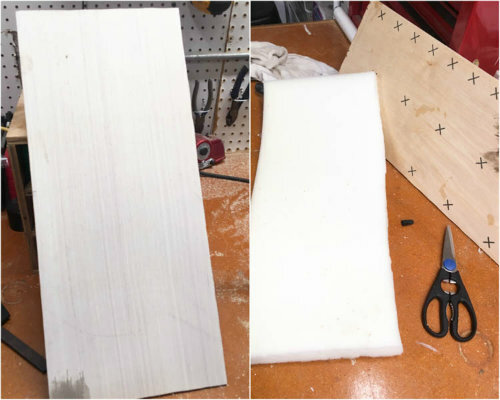 With scissors, cut a piece of foam to the same size. Take your fabric and stretch it over the foam and plywood, and either glue or staple it to the plywood to keep the foam firmly in place. You can also glue the foam to the plywood. We then took a small piece of foam and used the leftover material to make a matching pillow. Here’s our daughter with her doll, Emma, happily taking up residence in her new bed next to her “mommy.” We’ve already been told that Emma needs a house to put her bed into, so that will most likely be our next project! Jennifer Tuohy is an avid DIY crafter who writes about her projects from her home in South Carolina for The Home Depot. 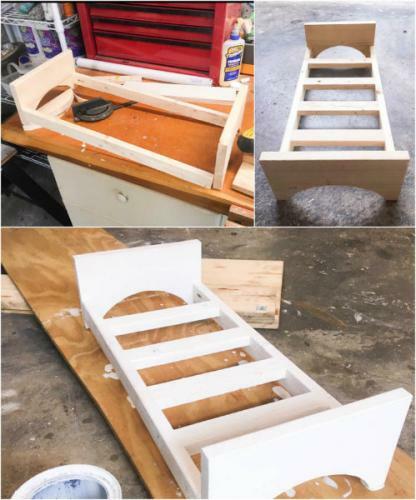 If Jennifer’s dollhouse bed has inspired you to try your hand with a similar project, you can research many of the materials, such as plywood, on Home Depot’s website.